Virginia Division of Motor Vehicles is an online portal operated by the government to administer the legal and financial matters regarding motor vehicles. The department is authorized to issue licenses, register vehicles, issue license plates, and manage several other matters related to motor vehicles. The services provided by the department can be categorized in the following four sections below. 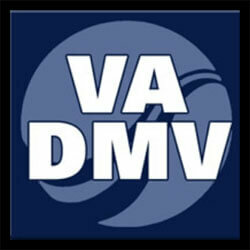 To find Virginia DMV offices see the above listings. The online services provided to public include issuance of license and its renewal in case of expiry, registration of vehicle and renewal when required, address change in the documents, replacement of driver’s license, and report maintenance of vehicle sold or traded. The services provided to drivers are mostly related to identification and licensing. Drivers are to obtain a license in order to legally operate a vehicle. There are a few types of licenses available according to the age of the driver and the type of vehicle used. License is also dependent upon the use of a vehicle, that is, if the vehicle is in personal use or being employed in commercial or industry use. The website also provides a practice test manual for driving and detailed information about points and violations as per the law. The department administers services regarding vehicles as well. These include registration and titling, insurance, and selling/purchasing of license plates. Users can find office locations on the website along with phone numbers of each office. This provides ease for people who want to search an office near to them or wish to make an appointment prior to making a visit. The website also provides forms to apply for various documents and detailed information and guideline regarding dealership, highway safety, etc.